Product prices and availability are accurate as of 2018-07-12 11:46:58 BST and are subject to change. Any price and availability information displayed on http://www.amazon.co.uk/ at the time of purchase will apply to the purchase of this product. 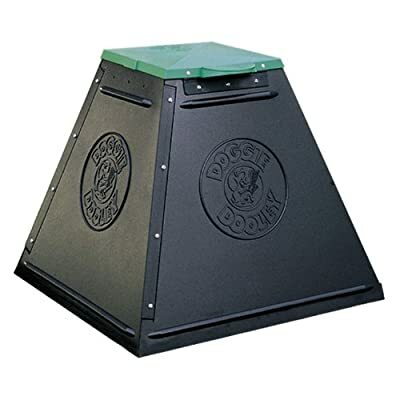 Sold worldwide since 1968, Doggie Dooley is the original in-ground dog waste system. This handy unit is the easy and eco-friendly way to dispose of dog waste. Once installed in the ground, simply scoop your dog waste into the unit (each unit has a foot operated lid), add water and digester powder and the waste will break down into a harmless and odour free liquid which simply drains away into the ground. No need for plastic poop bags, no dog waste in waste bins and best of all - clean and safe lawns and gardens! Model 3800 is a pyramid shaped unit with an open base, working on a leachbed system - waste liquid simply drains away through the open bottom of the unit. All Doggie Dooley models require in-ground installation. Model 3800 will require some simple assembly. 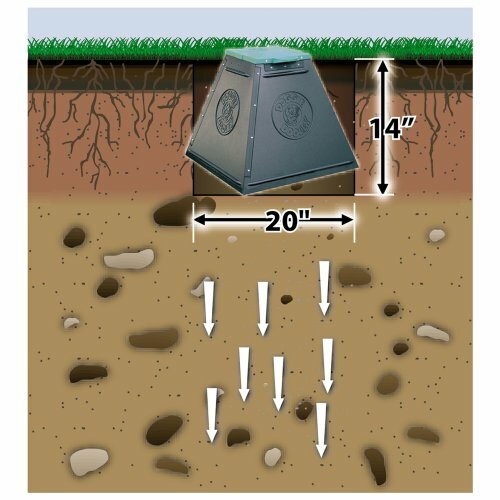 To install in the ground you will need to dig a square hole in the ground 20 inches square and 23 inches deep to put the unit into, then fill in round the sides of the unit with soil to secure it. This model is suitable for 3 medium sized or 4 small dogs. Model 3500 is a smaller unit and is suitable for 1-2 dogs. Models 2000 and 3000 are septic tank (bucket style) systems and are suitable for 1-2 or 2-4 dogs respectively. How much water and terminator do I need to add? This model requires either 1 tbsp of digester powder or one terminator tablet per dog daily and a few litres of water 2 to 3 times per week. The digester powder/terminator tablet is non-toxic, harmless mixture of natural bacteria and enzyme cultures designed especially for pet waste. The unit comes with a starter pack of terminator tablets or powder. Additional or replacement tubs of tablets or powder are also available from us.